Founder Molly Williamson is a 5th generation journalist so she likes to say storytelling is in her blood. Molly began documenting life when she traveled alone to Europe at 18, eager to learn about different cultures. She began with a tape recorder, but once she picked up a video camera she was hooked on following the action and capturing real people simply living their lives. Molly's career started on the West Coast, working on-camera in affiliate stations as a reporter, anchor, and producer. She then headed East where she spent 20 years at CBS News in New York as a writer, producer, and editor. After CBS, Molly freelanced, working with corporate clients such as the New York Stock Exchange, HBO, and Canon Financial. Molly is the editor and associate producer of the award-winning documentary, Kinderblock 66: Return to Buchenwald, her second feature-length film. She is currently co-directing a documentary project with award-winning HBO producer, Sabina Barach, called "Failure is Impossible." 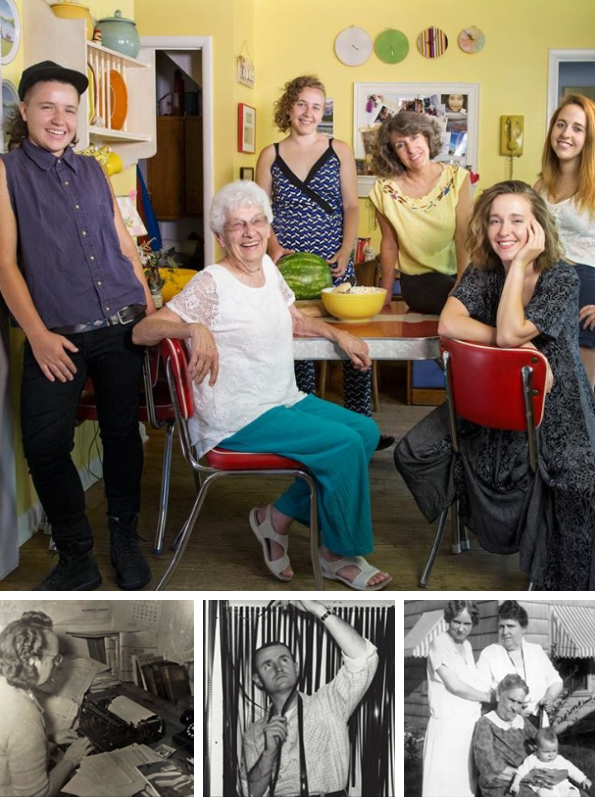 A mother to four daughters, Molly is passionate about family, traditions, and family legacies. 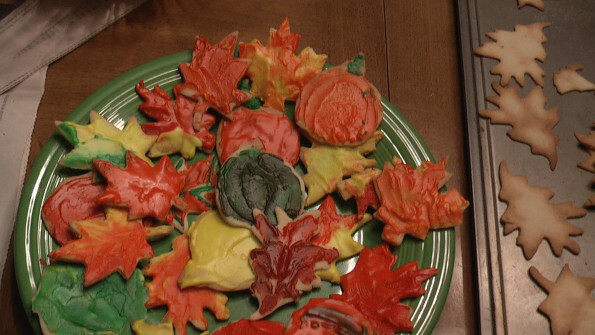 Rolling Pin Film Productions, her parent company, was named from a tradition she started with her girls: rolling out cookies in the shape of leaves and painting them the colors of Autumn to learn why the leaves change colors in the Fall. The stories behind that tradition will be passed down to her grandchildren and great-grandchildren. Top: Molly (in yellow) pictured with her mom (in white) and, from left to right, her daughters, Lexi, Georgia, Hannon, and Teddi. Molly comes from a lineage of journalists. Bottom, left to right: Molly's grandmother, Gladys Williamson, an Oakland Tribune reporter; Molly's father, Jack Williamson of Jack Williamson Film Productions; Molly's grandmother Gladys with her great-grandmother, Alma Parker and Alma's mother "Mrs. Inman" (both of whom were journalists), Baby Margaret on lap (Jack's sister).